In our experience babies rarely arrive according to plan! Even if you have a C-section scheduled then it can be difficult to decide when your booking should actually commence. You might like to take the following into consideration before making your final decision. We would recommend that you book a start date at least a week after your due date. During those first few days you will no doubt have family around for support and you will be running on adrenalin. Having time together at home gives you time to start to get to know your baby and to bond as a family. You will be tired, but knowing that your Maternity Nurse is arriving ‘next week’ may be enough to get you through. If you find that you really need some hands on help then you can always give us a call and we can pop someone in to support you for a few days until your nurse arrives. There is of course the possibility that your booked Maternity Nurse will be free and available to start with you earlier than planned. If your baby is late arriving and your Maternity Nurse is booked from your due date then you will be liable to pay her 50% of her salary as a retainer fee until she can start working with you. Having a nurse available as soon as your baby is born but possibly having to pay for her to be on standby. This could eat into any budget you have and shorten the actual time you have with her. Managing by yourself for a few days if your nurse isn’t available to start earlier or with temporary cover until she is able to come and be with you. Waiting until the baby is born before sourcing a Maternity Nurse. We would not recommend this last course of action if you want a ‘live in’ Maternity Nurse. You should also take into consideration that this decision may limit the amount of choice you have in your selection process. What is the process for me to find and choose the right Maternity Nurse? When you are thinking about employing a Maternity Nurse to look after your new baby you want to make sure that the person you are going to leave your baby with knows what they are doing and understands what you require them to do. The process to find the right Maternity Nurse can best be broken down into four steps. 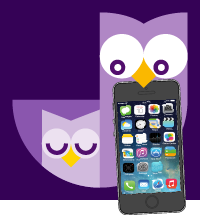 Night Owls will complete a client information sheet to determine your specific requirements. This can be completed over the telephone or by email. We can also provide you with blank documents for you to complete, if you prefer this. Your details, phone number, email and postal address etc. Your location, e.g. if in the London area, nearest underground station etc. Details of your baby/child – age, breast or bottle fed, sleeping issues etc. The period you require a Maternity Nurse for – number of nights or days per week, number of hours per night/day, whether this will be the same booking for the whole period or changing on a week-by-week basis. Details of any special needs or medical conditions relating to your child. Any other information you feel might be helpful and will assist us in making our selection of Maternity Nurses to recommend to you. From the information you supply, we will be able to identify the Maternity Nurses we have available to meet your requirements. The Agency would then contact them to confirm their availability and email you details of at least two suitable candidates for you to consider. At the same time, we would also email our Client Information document and Terms & Conditions if you have not already been sent these. Included with these we will also send you details of at least three Maternity Nurses which will include their CV’s and a profile sheet giving details of their training and certificates. Whilst reading through the documents that you should begin to form your own assessment concerning the suitability, skills and competence of each Maternity Nurse. It is from this evaluation that you will decide whether or not you want to interview them. The interview is an important step in your selection process and often is the deciding factor concerning which Maternity Nurse you will ultimately choose. Once you have reviewed the Maternity Nurses profiles, you would then make contact directly with any of the Maternity Nurses you would like to interview. This will allow you to speak with them and arrange an appointment. It is important to recognise that our Maternity Nurses do not work exclusively through Night Owls since for many, their work represents their sole means of income. Consequently it is not possible for them to hold their availability open indefinitely. We suggest that if the Maternity Nurse meets your selection criteria, that you aim to contact with them within 5 days to arrange an interview appointment. After this time the Maternity Nurse will assume that you are not interested in them and is likely to pursue other options for work. Please bear in mind that ‘live in’ Maternity Nurses have very limited time available for interviews so the sooner that you can make contact with them, the better. The Interview provides an opportunity for you to meet face to face with the Maternity Nurse and talk about your needs and what you require from them. It is important to recognise that the interview process works both ways and at this meeting the potential Maternity Nurse will be just as much making sure that you and your family are right for her as you are making sure she is the right choice for you! All candidates will bring their portfolio with them to the interview. This will include their CVs and the original certificates of any relevant qualifications, DBS, First Aid Certificate and proof of identity etc..
What is their stance on breast feeding? How do they feel about bottle or mixed feeding? Can they tell you about the safe sleeping guidelines? What is their stance on co-sleeping? How do they feel about being baby led or getting a baby into a routine? How would they work towards getting your baby to sleep well at night and sleeping through as quickly as possible? Have they any experience of working with babies with reflux or allergies and how would they be able to recognise these? Are they flexible on the hours they are able to work or are these set in stone? Do they believe in leaving babies to cry when they are new? Have they had much experience with breast feeding mums and how would they support them? How do you make up a bottle of formula? Do they have any religious or cultural traditions that may effect their working hours? Is there anything that they want to ask you? Throughout the interview you will be assessing the Maternity Nurses skills and knowledge. However, a crucial consideration is also the relationship they have with you. This needs to be one in which both should feel comfortable with each other and that openness and trust exists. This is hard to quantify, but it may best be described as the ‘click’ factor, where instinctively you know that the Maternity Nurse either is or isn’t for you. The reasons for this may be difficult to articulate but very often your instincts are a good guide. If having met with the Maternity Nurse(s), you do not feel that any of the Maternity Nurses suggested are suitable, please speak with us and let us know your reasons why. This will enable us to re-evaluate our selection criteria and send your details of other candidates. Jan is always willing to speak with you about the Maternity Nurses Night Owls has available, to help you make your selection. Remember that it is not the intention of Night Owls to place any Maternity Nurse in a situation where the client is not ‘completely sure about them’. They will respect your position as the parent when it comes to the care of your child. Once you have interviewed all candidates and made your choice of Maternity Nurse, it is important that you inform Night Owls as soon as possible. This will enable us to confirm your booking with the Maternity Nurse, draw up your service agreement and answer any questions that you might have. At this stage the successful Maternity Nurse will send you her contract confirming the booking dates and fees. This will need to be signed by yourself and returned to the Maternity Nurse together with her deposit. Night Owls will at this time also send you a copy of the Service Agreement together with an Invoice for the Agency Fee. This must be paid within 10 days. 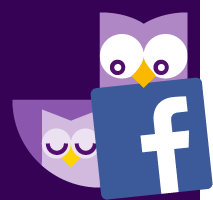 Night Owls will also contact the Maternity Nurse(s) who have been un-successful at the interview and let them know your decision. During the contract period regular contact will be maintained with you to ensure that things are going well. At the same time on-going support and supervision is provided for the Maternity Nurse.